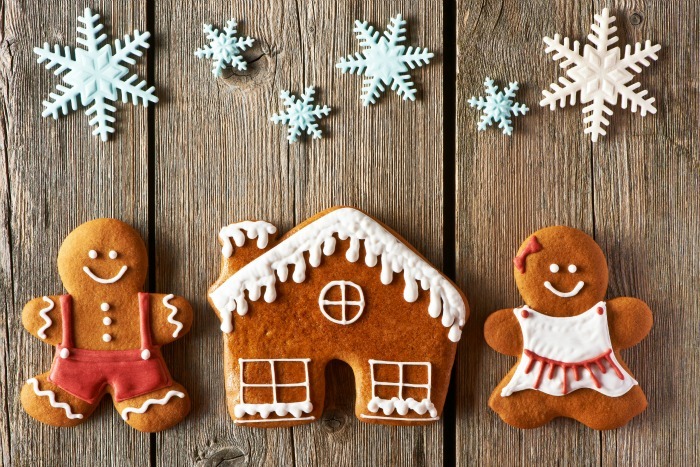 Gingerbread is the stuff holidays are made of. Can you just smell this nostalgic Gingerbread Cookies Recipe? The smell of gingerbread just screams holidays. And you can do so much with the forgiving dough from these gingerbread cookies. You can make them any shape you want; you can use them to make a gingerbread house or even as edible decorations for your tree. Plus, you can make this dough ahead and freeze for later use or keep in the fridge for up to three days before use. This post contains affiliate links. When people hear gingerbread cookies around the holidays, they tend to think gingerbread men. However, many other cookie shapes will bring holiday cheer to the table. Check your local baking and/or craft store to see what cookie cutter shapes are available. You should see snowflakes, hearts, stars, snowmen, trees, houses, candy cane, stockings, reindeer, Santa hats, mittens, sleighs, bells and even doves. 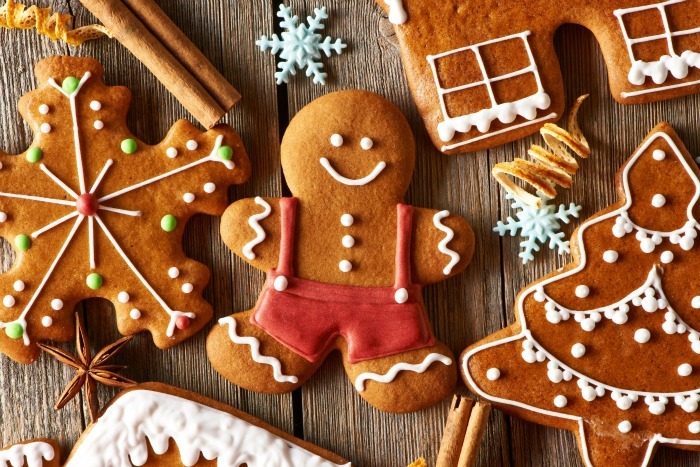 Many people expect to see some sort of icing decorating gingerbread men as well as other holiday-shaped gingerbread cookies. If you like the look of gingerbread icing but aren’t up to dealing with royal icing, here’s an easy substitute icing from The Kitchn. Before you get started, you’ll want these baking tools! 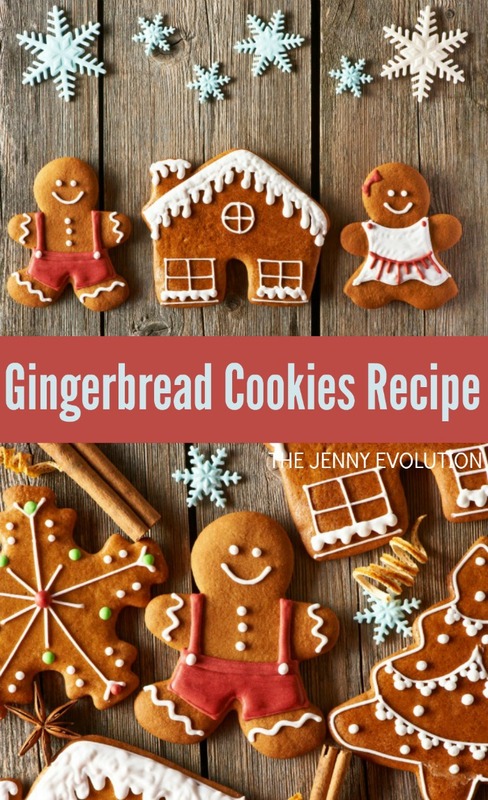 Find more Christmas Baking Recipes on Mommy Evolution! On your floured work surface, roll out each half of the chilled dough to be about ⅛ inch thick. Yummers!! Pinned this and will make them! They look delicious and adorable! Thank you! So sweet! Yummy and pretty! These cookies look so cute and yummy as well! Gotta try this! These are adorable and look delicious. I need to take a class so I can acquire these skills. 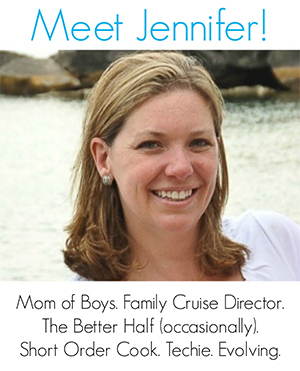 Thanks for sharing on Sunday’s Best linkup. I always look forward to you posts. I’ll be tweeting & pinning this post.